The Filmation engine allowed the creation of 3D flip-screen environments, ideally suited to platform-based arcade adventures. Player characters could move in four diagonal directions, were able to jump over or onto obstacles, and could even push objects around the game environment. 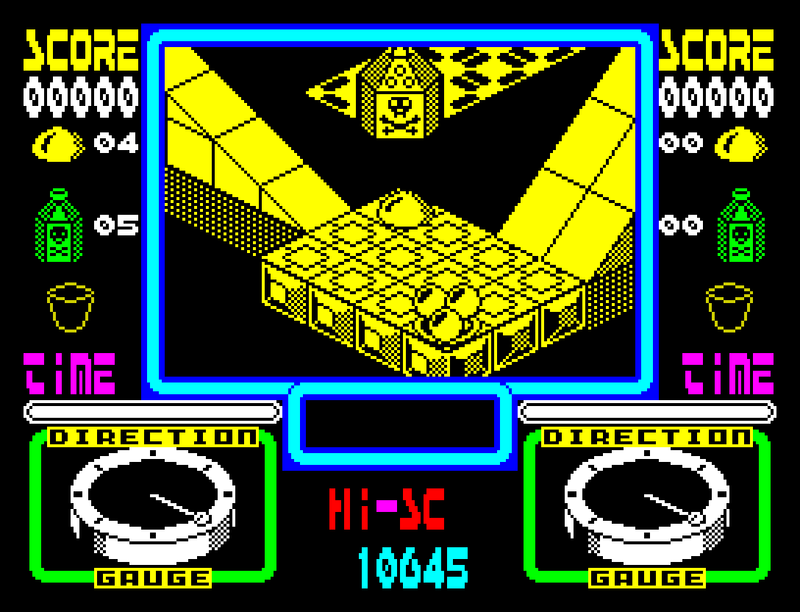 A handful of games had used an isometric perspective before Filmation’s first appearance in 1984, such as the arcade games Q*bert (1982) from Gottlieb, Zaxxon (1982) and Congo Bongo (1983) from Sega, as well as the ZX Spectrum title Ant Attack (1983) by Sandy White. 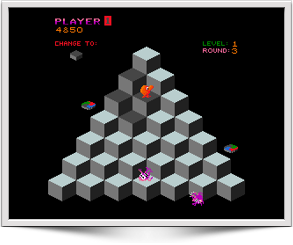 Q*bert and Zaxxon have little else in common with Filmation, though Ant Attack was a platform game of similar style, and was the first of these games to feature an extra degree of freedom (the ability to move up and down as well and north, south, east and west). 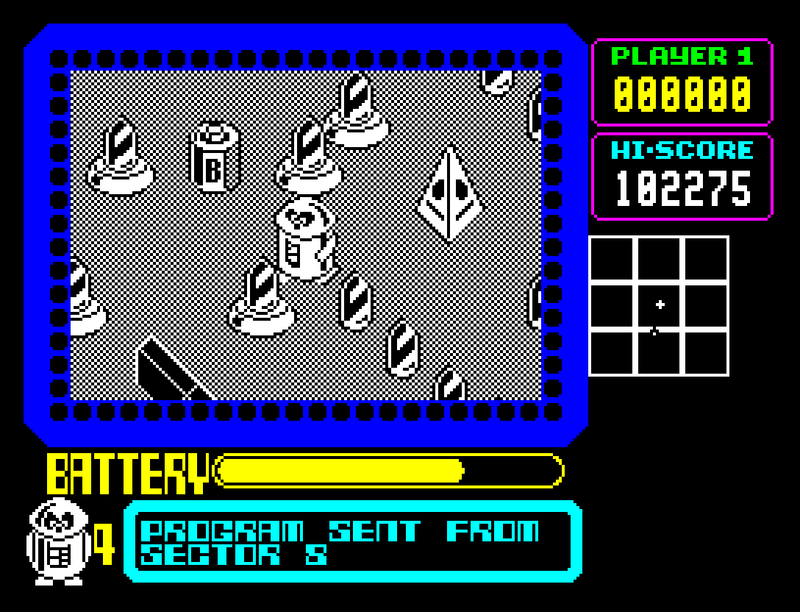 It was claimed by White that Ant Attack was “the first true isometric 3D game”. 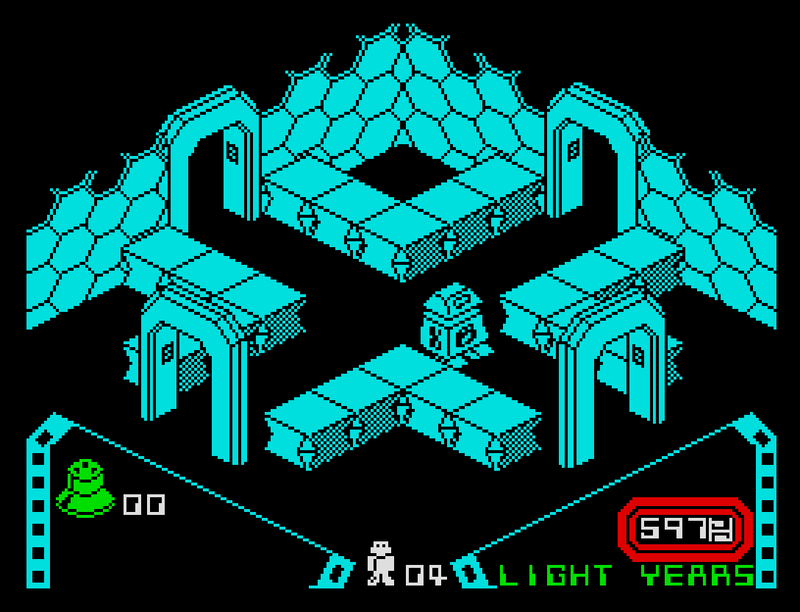 Knight Lore was followed six months later by Alien 8 and in 1986 by Pentagram. A second engine, Filmation II, was introduced in 1985 and used in two titles, Nightshade and Gunfright. 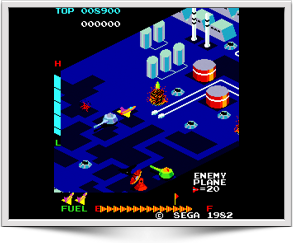 This new version of the engine introduced large scrolling environments (much like Ant Attack‘s) rather than flip-screens. 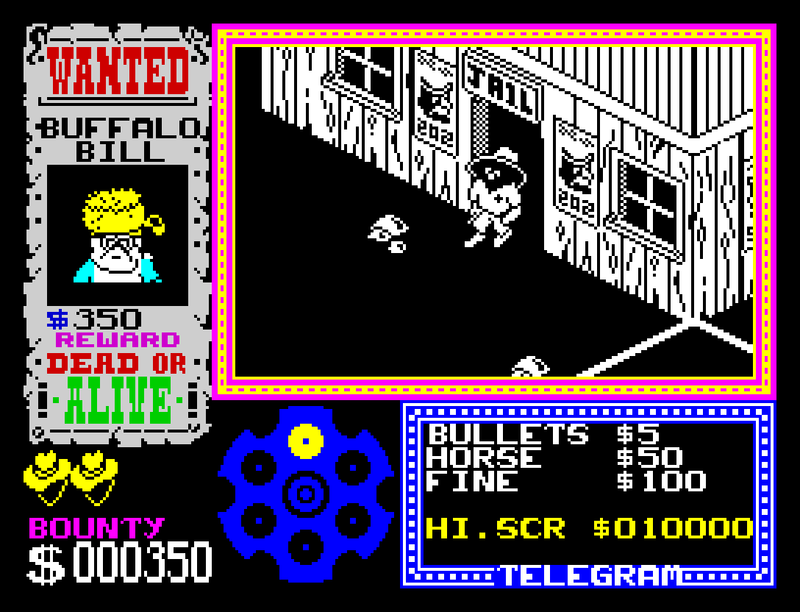 To avoid obscuring the player character, streets and buildings rendered by this engine would disappear to their outlines when the player character walked behind them, and the ability to flip the viewpoint through 180 degrees with a press of the Z key was introduced. 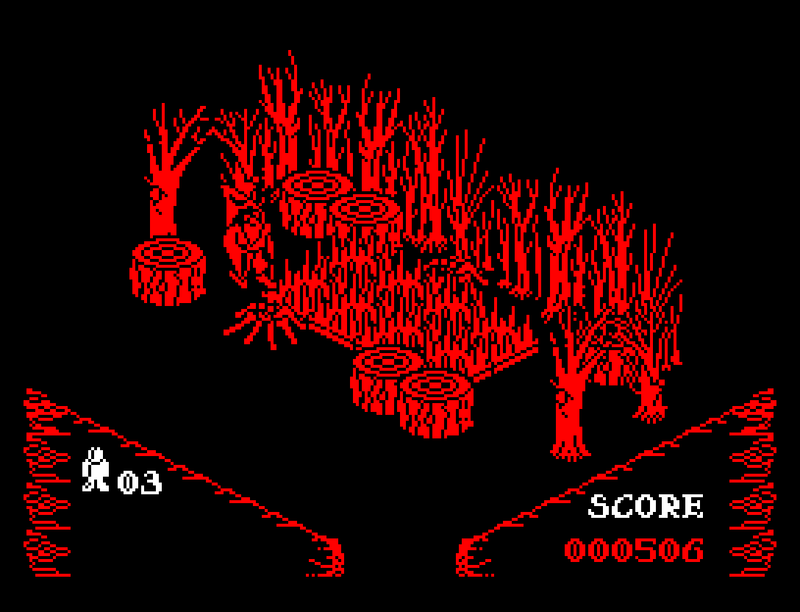 Although Filmation II increased the graphical complexity of the titles that used it, the gameplay was simplified; the player was no longer able to jump (and indeed had no reason to) and was confined to essentially simpler environments, with no obstacles other than the buildings themselves. This simplification resulted in Nightshade and Gunfright being more straightforward shooter games than the puzzle based Filmation I titles. 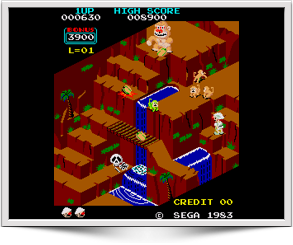 Two later games, Martianoids and Bubbler, were developed by U.S. Gold (and published on the Ultimate Play The Game label) which also used scrolling 3D environments, though neither made explicit use of the Filmation II engine. Both had similarities to Filmation II, though Martianoids did not use a true isometric perspective and Bubbler had more in common with Atari’s Marble Madness than previous Filmation titles. Ultimate’s final, unreleased title, Mire Mare, was long thought to have been Filmation-based, but in the late 90’s Rare revealed that it would actually have been more like the top-down Sabre Wulf, the first title based around the Sabreman character.